TIMELESS TASTE. FAMILY OWNED. COMMUNITY FOCUSED. Painted red outside with a yellow roof, we’re told by many that Trails End feels fossilized in some version of what they imagine an old barbecue joint should look like — decorated inside with real wood paneling from a Coweta sawmill, corrugated tin, framed photos of celebrities, sketched art, local sports memorabilia, and, of course, a bison head. While we serve many customer favorites, brisket is the star here — dry rubbed and smoked for 12-13 hours over pecan wood. Pork fans can get their grub on with pulled pork and pork ribs, while poultry lovers can sink their teeth into seasoned and smoked chicken and turkey. Try our pulled pork sandwich that is perfectly seasoned and plenty smoky. And while the pitmaster, John Cash, deserves most of the credit for these fantastic feasts, he’s quick to provide a nod to the old brick pit, which burns nothing but wood, a throwback to a time before urban barbecue joints were dominated by mechanical smokers with their gas-assisted heat sources. The 1,000-1,200 pounds of meat pulled from that old pit are well-conceived in a ridiculously genuine way that’s humbly and uniquely regional without slapping you in the face with aggressive flavors. Enjoy the convenience of our to-go service. With a drive-up window, you can be in and out to pick up your order in minutes. Since we offer limited seating, we don't feel bad if you order to go. 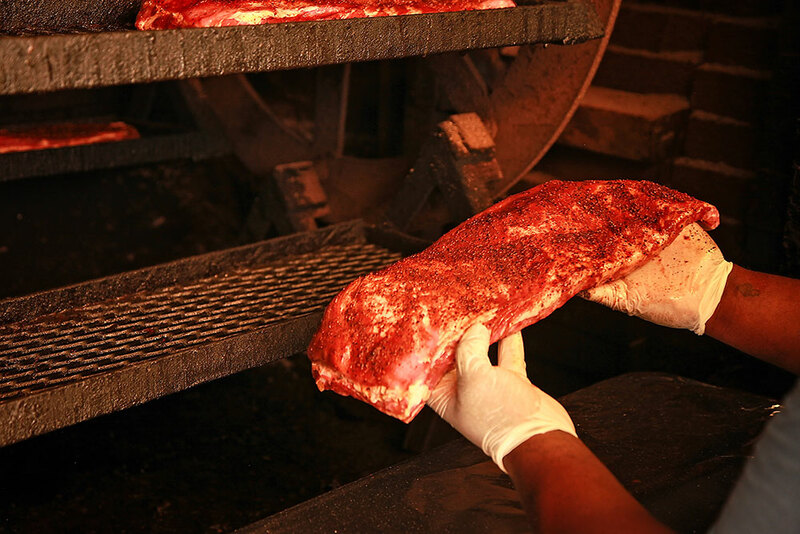 Most of our smoked meats are carved to order, whether it's a half pound of brisket or a whole rack of ribs. This helps it to retain the juices. BARBECUE TRAVELS WELL. IT'S EASY TO SERVE. AND PEOPLE LOVE IT. We can deliver. We can set it up. We can serve. We’ll even clean up if you like. From the simple and straight-forward to the complicated and fancy, let Trails End bring the ‘cue to you. We want your business and can work with your budget. Served with choice of bacon, egg and cheese; or sausage, egg and cheese. Two meaty smoked Trails End ribs served with two eggs. Served with choice of biscuits and gravy; toast and hash browns; or grits. Meat with tomato, peppers, mushroom, onion and cheese. Two 3 ounce center cut pork chops and two eggs. Served with choice of biscuits and gravy; toast and hash browns; or grits. Two hot cakes, two eggs, bacon or sausage, hash browns or grits. Sausage, tomato, onion, bell pepper, mushroom, bacon and ham. Meat of your choice piled high on a toasted bun. 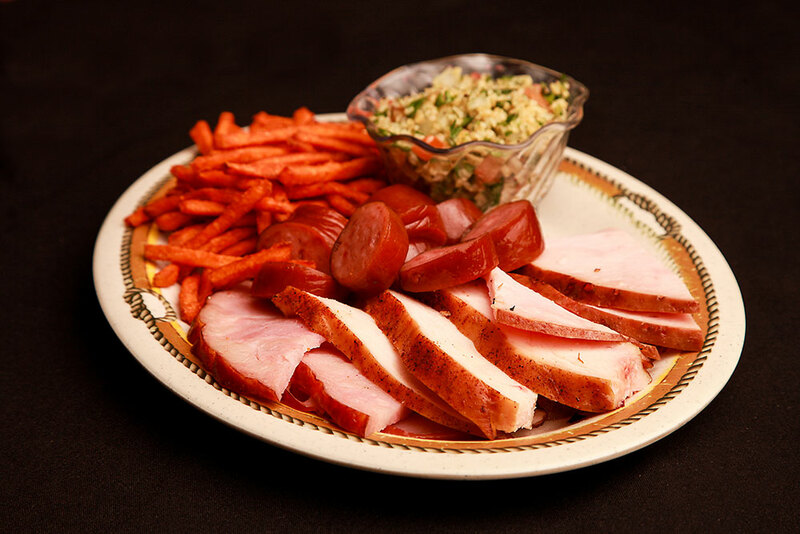 Choose from: pulled pork, turkey, ham, chicken, bologna, sausage or hot link. Hey vegetarians, this is just for you. Add cheese for $0.30. One pound of any four different meats. Pork shoulder seasoned and smoked for over 12 hours. Tender and juicy smoked chicken breast served on top of mixed greens with tomatoes and shredded cheese. May substitute turkey for chicken. Tender and juicy smoked boneless breast sliced to order. Three-quarter pounds of any three different meats. Half pound of any two different meats. Every Friday from 5-8 p.m. Includes choice of two sides and hush puppies. 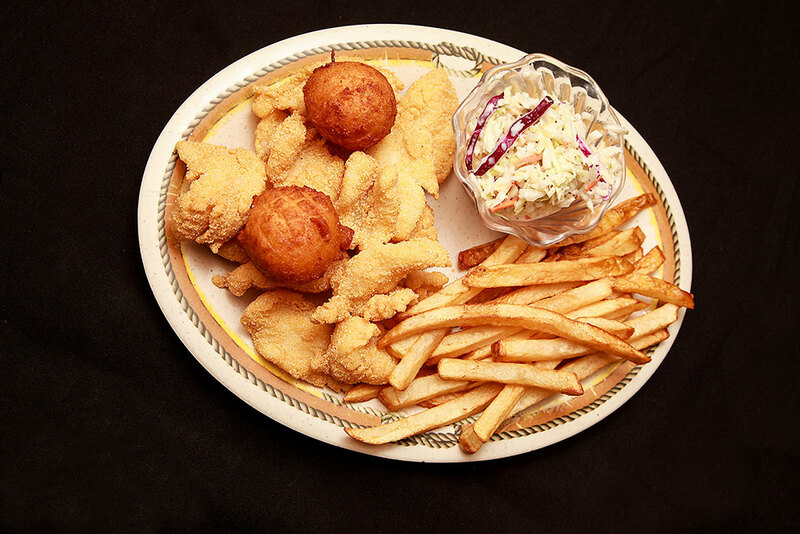 Hand-breaded catfish is available in regular and cajun. Baked potato or side salad are extra. Every Tuesday and Wednesday from 4-8 p.m. Includes ribs and side orders. Four to five meaty and juicy ribs to satisfy your craving. Chopped brisket, bologna and hot links or sausage on Texas toast. Your choice of one meat: hot links, ham, bologna or polish sausage. Pulled pork, cajun seasoned pork burger and a hot link. Special recipe cajun seasoned pork burger. At Trails End, we focus on every little detail of your experience, anticipate your needs, and provide friendly service that allows you to enjoy a delicious meal in a comfortable, down-home atmosphere. 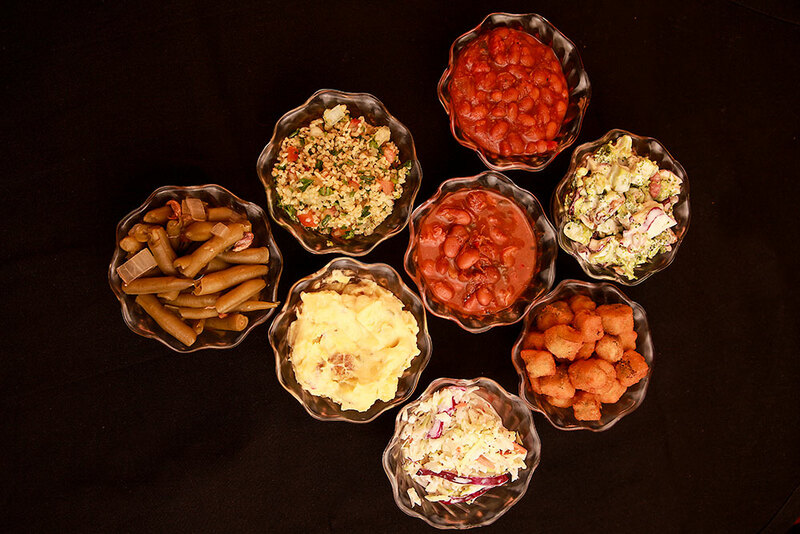 We know that great barbecue starts with top-quality ingredients, distinctive homemade recipes and a time-honored process. Come try us out and see if you agree. ©2019 Trails End. All rights reserved.